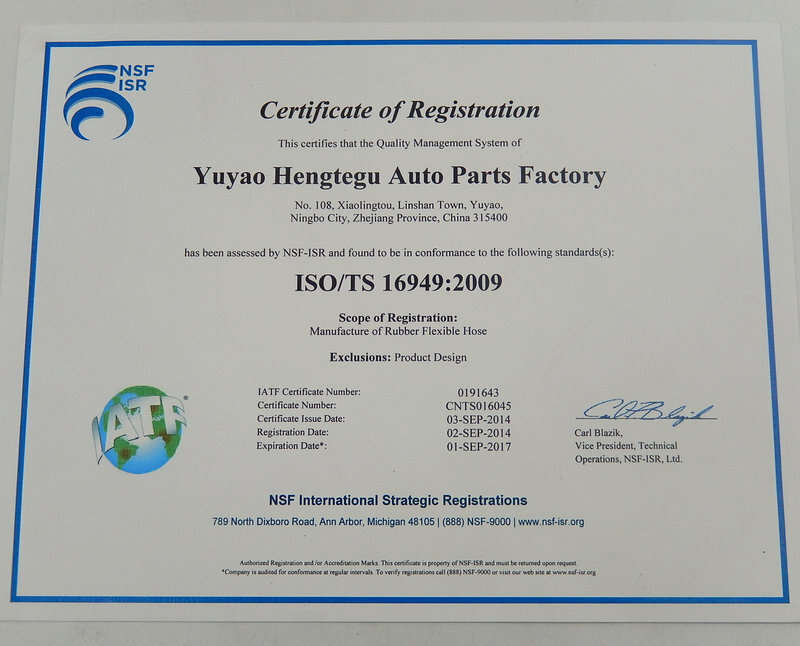 YUTE is committed to the development and production of automobile piping system, and our produces are used in the automobile transmission, chassis and cooling system. 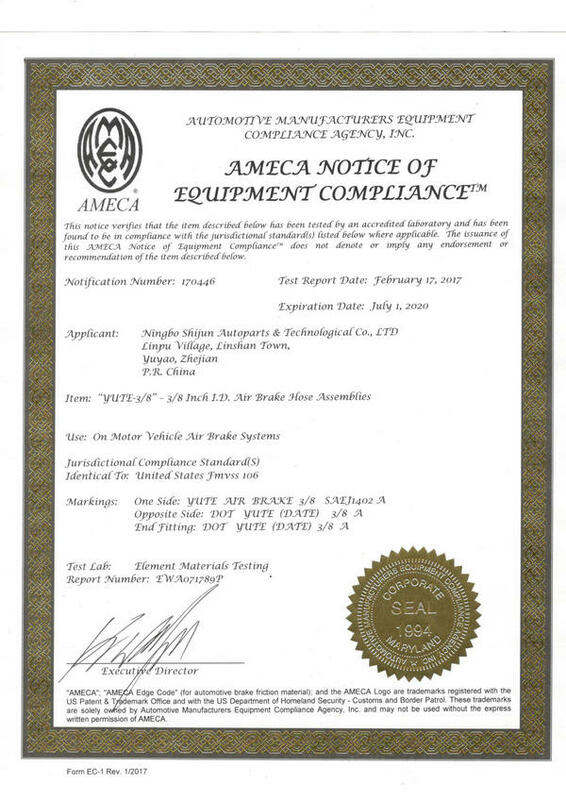 We have through ISO/TS 16949:2009 quality managerment system certification in 2014, our product certifications are CCC,ROHS,DOT ,AMECA and CE etc.We have research and development center , and the inspection & testing center of the hose, we also have Automated rubber mixing center, so that the hardware of high-end configuration ensures the consistency and stability of the production process.The product is based on domestic market and actively explores international market, our research and development based on SAE and DIN standards in the United States and Europe. 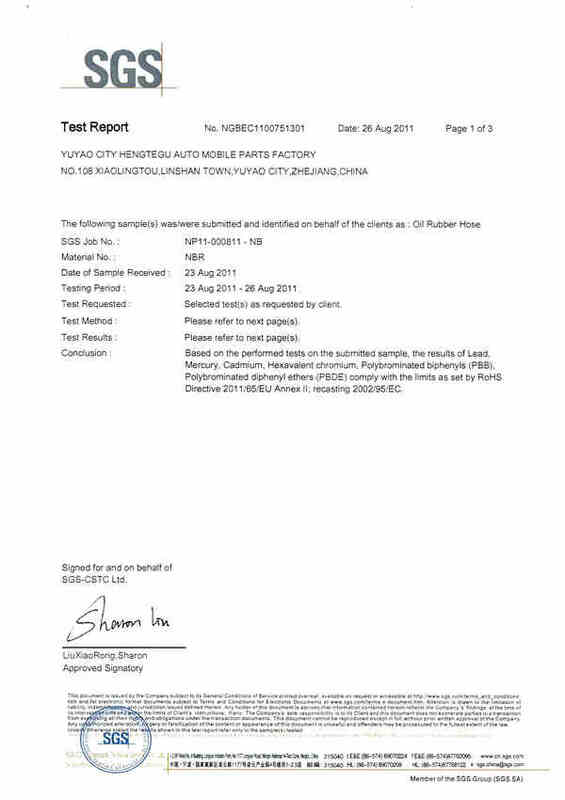 We also have pass the qualification certification of third party laboratories all test.Our self owned brand HTG and YUTE are highly trusted by new and old customers. We insist on the idea of making friends with your heart , Working Together To Develop, good service and create added value together with our business partners.